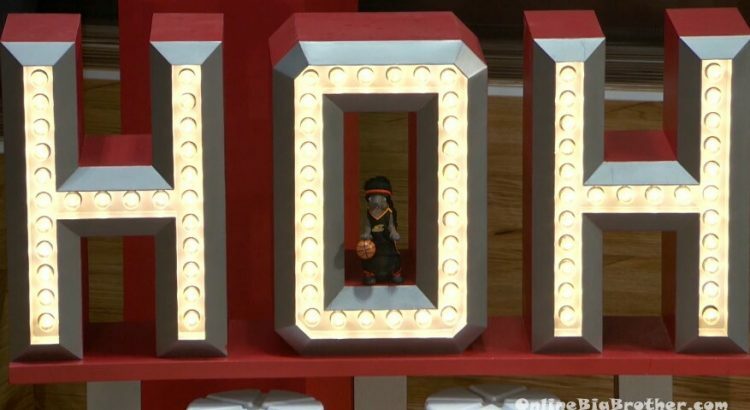 **updated*** Big Brother Spoilers Tyler did not use the power of Veto. 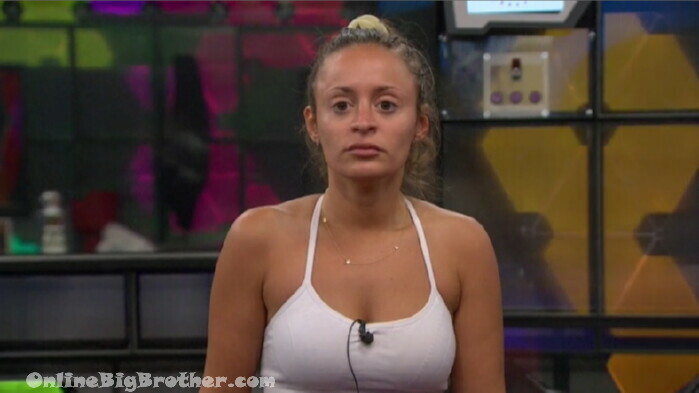 The nominations stay the same with Brett and Rachel eligible for eviction ON Thursday. Kailtyn – don’t look me in the face and say I was safe..
Fes says he told both of them he would save them to ensure he was picked for Veto so that he could save one of them. Kailtyn – I can’t believe you played me like that..
Fes says he wasn’t sure at the time he knew he wanted to win it to take one of them down so they had a chance to save both. HE says she’s got 4 days.. .
She explains how she was told that threw as a power that if she doesn’t vote out Steve the person with the power was goign to put her up. 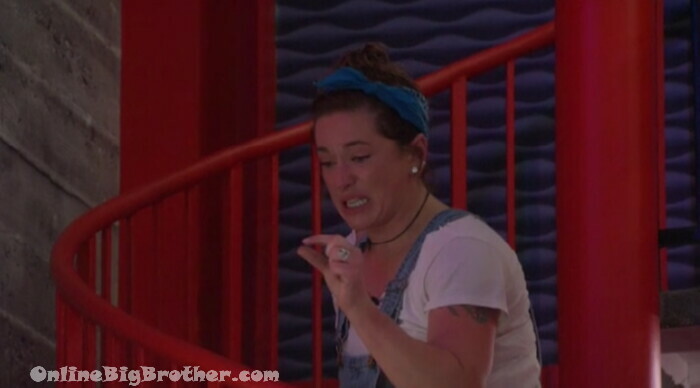 She goes on to exoplain how crazy the week was with her flipping on her alliance and winning HOH. Kaitlyn says when she was HOH all she wanted to do was tell Scottie. 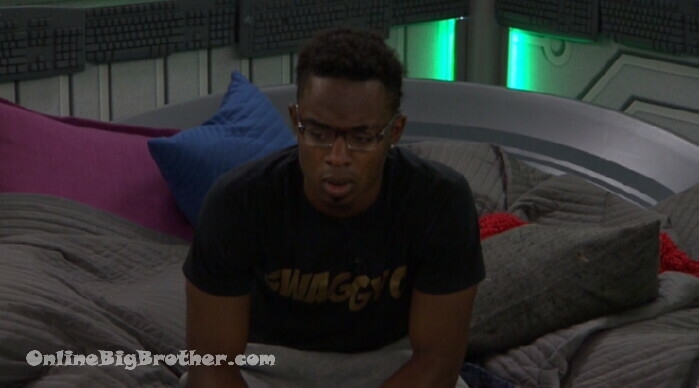 Bayleigh comes in, Scottie and Fez leave..
Bayleigh – she said what use is sending Winston home he hasn’t hurt my game..
2:55pm The live feeds return. Faysal, Steven and Kaitlyn. Faysal to Steven – Supposedly Angela and Winston are all happy now. Steven – yeah. We have a better chance of putting them up next week. Kaitlyn – we did the safest thing for the house. Steven – we have the numbers. All we need is seven. Faysal you did the absolute right thing. Kaitlyn – you know that right? Faysal – yeah. Steven – anyone else up there might crack. I got this. I’ll smoke my cigarettes over there and keep my mouth shut. 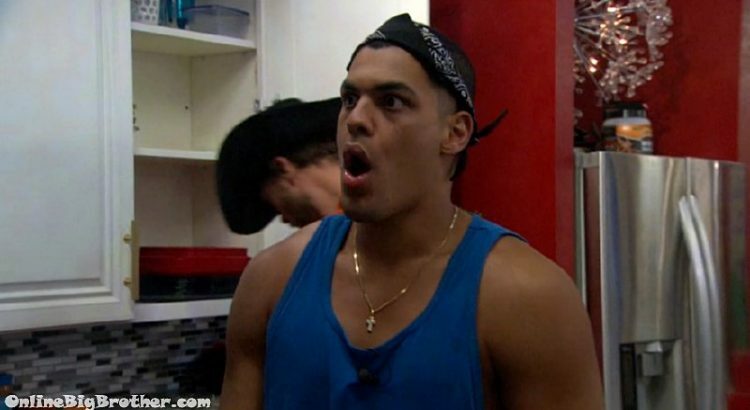 They agree Josh was the one that ripped the house apart during the POV. 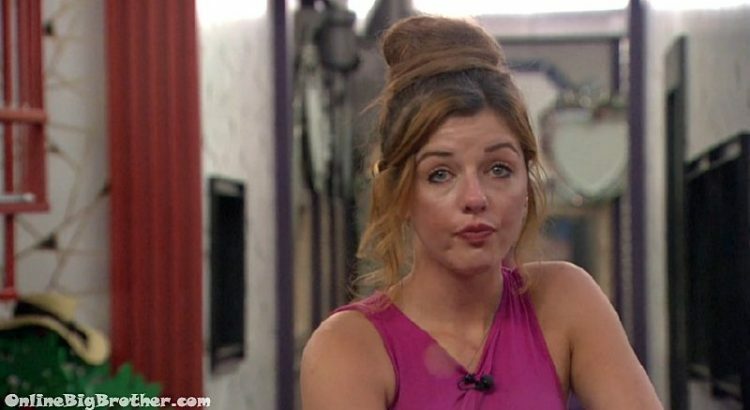 Jessica was evicted by a near unanimous vote. 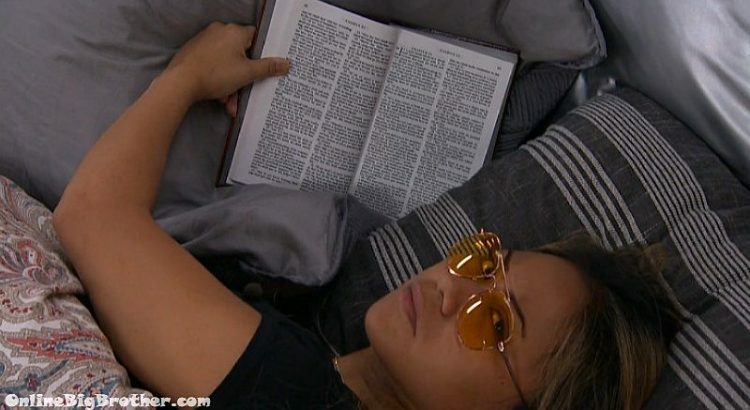 Cody, of course being her one vote to stay. In case you are wondering Jessica is not coming back, she’s on twitter. Julie also mentioned no Jury members will be returning. So hopefully this means there’s a damper on the late game twists. They’ve done enough damage already.